French, 18th c. · Tr. <cite>Crown of Jesus Music</cite>, 1862, alt. 2 Bergers, pour qui cette fête? 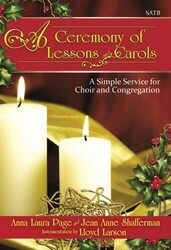 GLORIA is the French noel tune traditionally associated with this text. The popularity of this carol stems from its refrain–all those cascading phrases in which human beings imitate the angels' chorus. 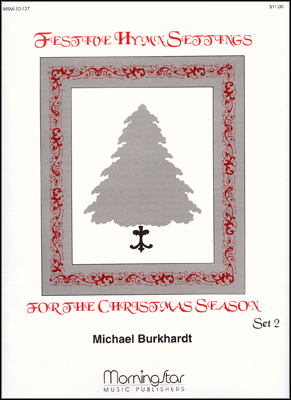 Try using the refrain by itself as a short choral introit during the Christmas season, perhaps with the Baroque performance practice of dotted rhythms to add a subtle touch of beauty! 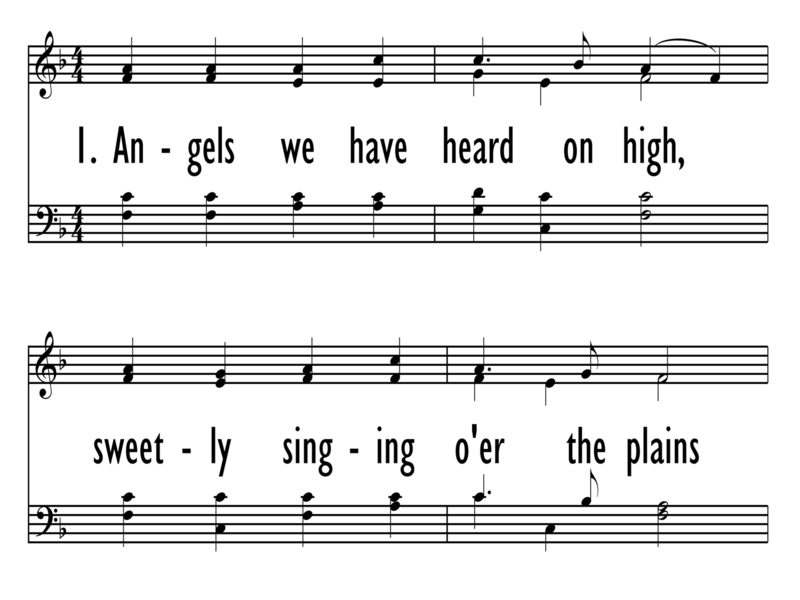 The repeat of the melody in the refrain permits variation in performance; for example, a small choir in the balcony could sing the first refrain line, and the entire group could join in on the second refrain line (the effect of a few angels beginning the hymn and then being joined by more and more angels). Play with light organ registration until the refrain. The tune is also known as IRIS because of its association with James Montgomery's "Angels from the Realms of Glory" (354), which was first printed in the Sheffield Iris (Montgomery, ed.). The harmonization is by Edward S. Barnes (b. Seabright, NJ, 1887; d. Idyllwild, CA, 1958) and was first published in The New Church Hymnal (1937). The harmonization is by Edward S. Barnes (b. Seabright, NJ, 1887; d. Idyllwild, CA, 1958) and was first published in The New Church Hymnal (1937). Barnes studied at the Lawrenceville School, Yale University, and the Schola Cantorum in Paris. He was organist and choirmaster at two New York City churches – Church of the Incarnation and Rutgers Presbyterian – and in Philadelphia at St. Stephen's Episcopal Church. From 1938 to 1954 he served as organist at the First Presbyterian Church in Santa Monica, California. Barnes contributed to the Presbyterian Handbook to the Hymnal (1935) and wrote piano and vocal works as well as anthems and liturgical music. It’s a simply beautiful image: the shepherds in a great field, staring up in wonder at a sky full of the heavenly hosts, singing out their praise and joy, the echoes of their song of reverberating off the mountains to add to the cacophony. It isn’t hard to imagine the shepherds’ response. This group of young boys and girls must have looked at each other wide-eyed, then whooped and cheered and run as fast as they could into the village. Giddy with excitement and out of breath, did they burst into the stable and crowd around the manger? Or did they stop at the stable door, suddenly shy and overwhelmed, and peek in at the couple holding a tiny baby? Did they fully understand what they were witnessing? Do we even fully understand what they were witnessing? This hymn invites us to “Come to Bethlehem and see.” Today, we go to Bethlehem. We peek through the stable doors, and we kneel in amazement before the Christ child, our ears still ringing from the angels’ song. More so than the shepherds, we are able to see who this child is, because we know the Gospel story. We know that angels would come again, this time to announce that Christ was not where the women looked for him, but that he had risen. It isn’t hard to imagine that a “Gloria” would have been on those angels’ lips as well.